Dave Martinez, who has worked at New Trier High School for the last 34 years, won $2 million in the Illinois Lottery last month. NORTHFIELD, Illinois -- A custodian in Illinois just celebrated his 60th birthday by becoming a millionaire. 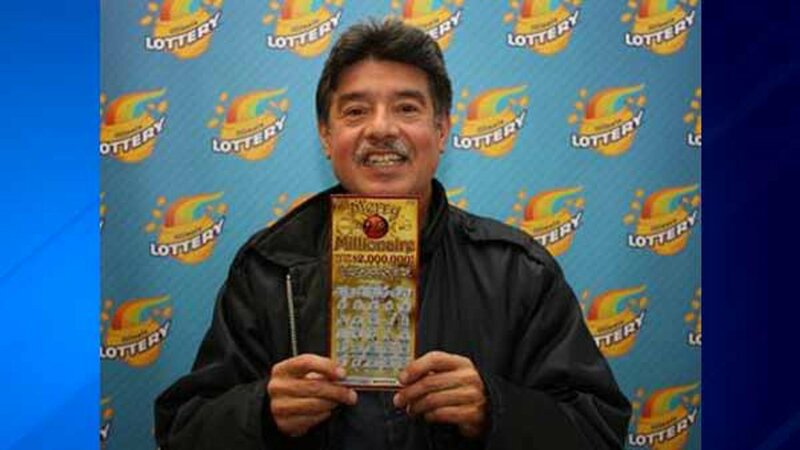 Dave Martinez, who has worked at the school for the last 34 years, won $2 million in the Illinois Lottery last month. Martinez said he was buying a hot chocolate at a gas station in Gurnee on Nov. 19 when he decided to buy a scratch-off lottery ticket as well. "The night before, I played there and I won $100, so I thought I'd go back and buy one the next day," Martinez said. "I went home and started scratching it off in my dining room, and then I just couldn't believe it." Martinez said he originally thought he had won $100,000 and was thrilled - until he realized he had won $100,000 annually for the next 20 years. "I read the back and I was like 'Whoa.' I started jumping up and down with my wife, and then signed the back right away. I still can't believe it," Martinez said. Two days later, on his 60th birthday, Martinez cashed in the lottery ticket. He went back to work right away and said he plans to continue working at the school's Northfield campus until his retirement in November 2017.